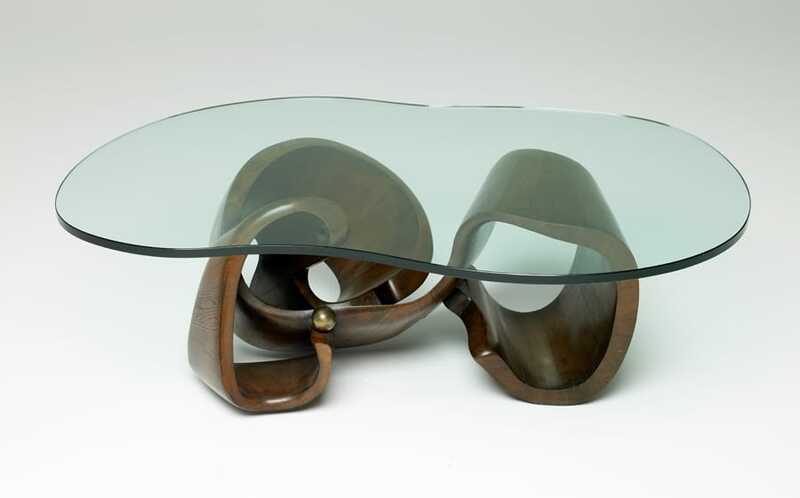 The father and son team of Philip (1907-1987) and Kelvin (1937-) LaVerne created custom, limited edition pieces of furniture that were both functional objects and stunning displays of artistry. Their distinctive sculpted bronze pieces harmoniously combine innovative metalworking techniques with traditional motifs. Contact us to sell your LaVerne furniture. Philip and Kelvin LaVerne operated as artist-furniture makers creating one of a kind and limited edition pieces that would be both functional and for display. 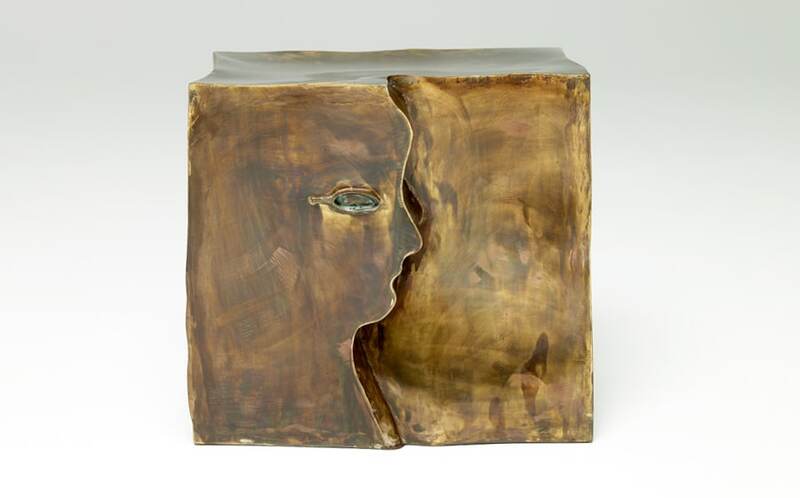 Father and son made patinated and sculpted bronze tables and cabinets combining innovative techniques with traditional styles in a way that has rarely been matched since for its idiosyncratic artistry. Their unique production methods and goals are far more aligned with today’s avant-garde furniture designers than they were with either the high-end upholsters or the mass-production modernists who dominated the scene in their own day. 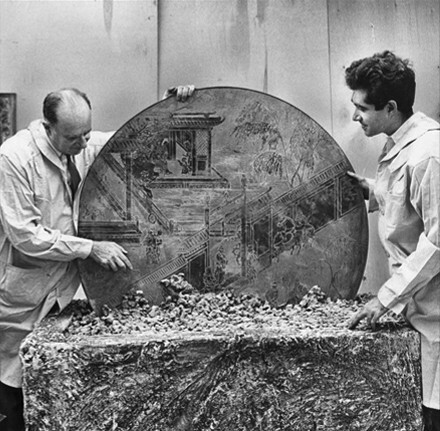 The technique used by Philip and Kelvin was based on bronze-casting methods that were centuries old, tweaked to give each piece its own distinctive patina. 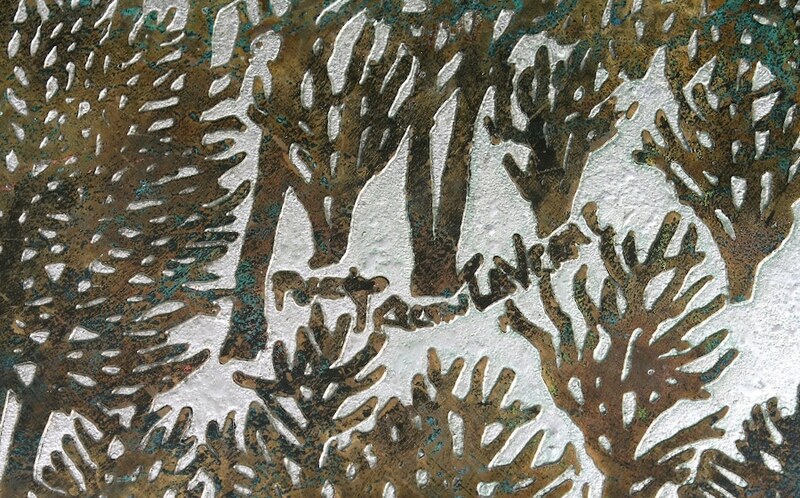 It involved burying hand-carved bas relief slabs of bronze and pewter for six weeks in a container full of special soil that allowed them to oxidize naturally, causing the metal to change colors. This process for making the patinated bronze series started around 1954 and took six years for the LaVernes to refine. They lived up to the name of functional art with flat bronze and pewter surfaces articulated with classically-inspired images, and later pieces that were more sculptural and three-dimensional. Motifs were drawn from history (discovered by many trips to the library). 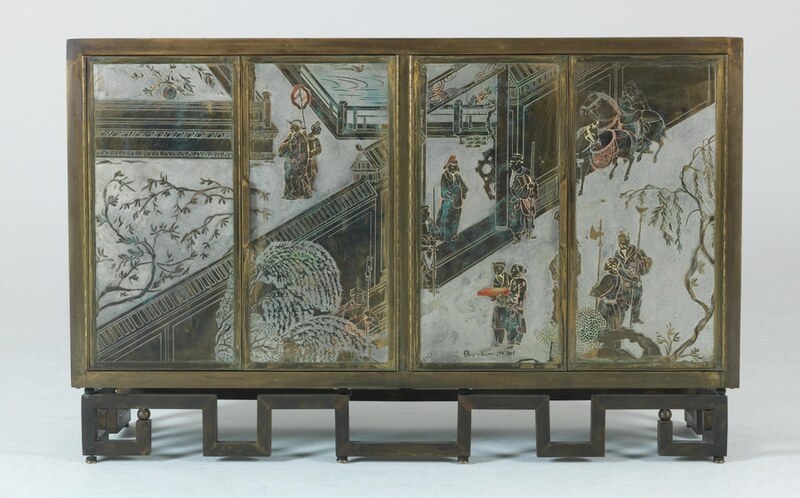 Chinese scenes adorn some of their most popular cabinets and tables, particularly from the Chan series. There were several decorative themes in the popular Chinese series, such as Tao, Chi Liang, Ming, T’ang Sui, Shang Ti, and Su Tao. 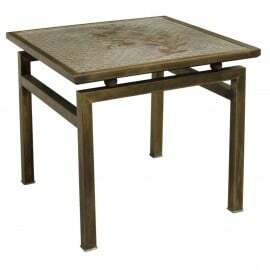 They all blended well with the oriental style then so popular in decorating. Most came in limited editions of 12, but, due to demand, they made many more for the Chan series. Whether limited or not, all pieces were signed by both father and son. Signatures were sometimes cut out and laid in pewter or engraved directly into the bronze. Though their process was radical, their designs were conservative: a combination that was intentional, the LaVernes often said, so that their functional art would fit in with any furnishing style whether traditional or modern.